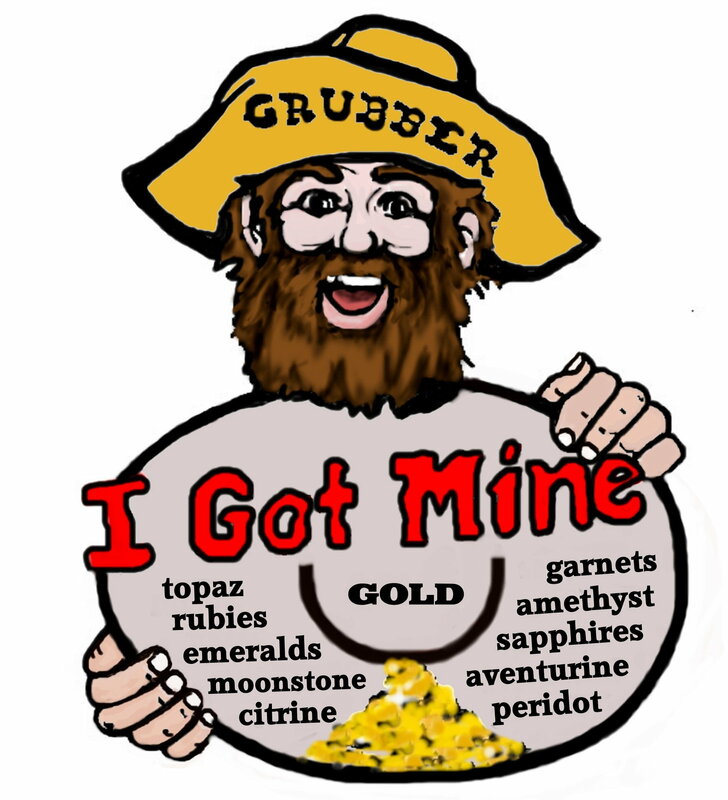 There are many types of gemstones found here at Gold 'n Gem Grubbin: Rubies, Sapphires, Emeralds, Amethyst, Topaz and lots more! You can buy gem ore by the bucket and screen them in our convenient sluices. Our trained and helpful staff is always nearby to help you identify your "finds" and evaluate them. We do custom gem cutting and mounting. Your cut gemstone can be set into fine 14k Gold or Sterling Silver jewelry by our Master Jeweler. At low mine direct prices! Large Groups welcome! Please call first.